It was a day of community building, leadership development, and cultural sharing on the campus of California State University Long Beach, where Fresh Tracks is hosting a regional training for nearly 50 diverse young adults from all over the West Coast. Jean Lim Flores of REI tries on a Fresh Tracks hat after speaking about her career connecting to the outdoors. The morning began with a visit from Jean Lim Flores, Outdoor Programs and Outreach Market Coordinator for REI in the Los Angeles region. Flores spoke to the Fresh Tracks participants about conquering mountains, personally and professionally, about the importance of embracing adventure, and about her passion for inspiring other people to love the outdoors through community engagement. After hearing how Jean Flores is making an impact on her community, the Fresh Tracks practiced developing their own personal narratives in a session led by Fresh Tracks trainers Luz Alejos and Christie Wildcat. In another interactive workshop, Fresh Tracks trainers Tyler Campbell, Cameron Williamson-Martin, and Kimberly Contreras helped the participants discover their personal leadership styles and develop strategies to work with people who have different approaches to leadership. Fresh Tracks Trainers Tyler Campbell and Cameron Williamson-Martin team up to lead a workshop on Leadership IQ and developing personal leadership styles. Dr. Sharoni Little leads a discussion on the importance of recognizing, and moving past, implicit bias. Culture was the focus of the second evening of the West Coast training. 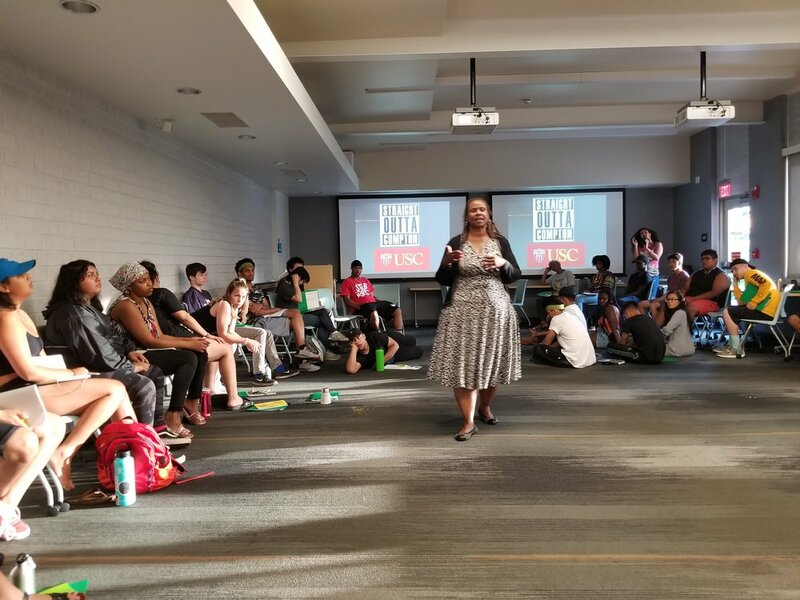 Dr. Sharoni Little, CEO of The Strategist Company LLC, and a professor at the USC Marshall School of Business, spoke to the Fresh Tracks participants about the importance of acknowledging - and overcoming - implicit bias. Using examples from her own life, Dr. Little showed how we can disrupt implicit bias by recognizing our own strengths and shared that, "One's outward appearance or any other aspect of their identity should not be used to determine their worth. " Pacific Islands to Somalia to urban and tribal communities across the United States. including personal narrative, leadership style, and implicit bias.